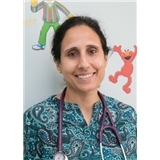 Elisabeth Rogers is a caring and accomplished pediatrician serving the community of Warren, NJ. Dr. Rogers attended Rowan University, where she received her osteopathic degree, and completed her internships at Kennedy Health System and the Our Lady of Lourdes Medical Center. She then completed her residencies at Overlook Medical Center and Goryeb Children's Hospital. She also holds a bachelor’s degree from Trenton State College. Dr. Rogers is a part of Summit Medical Group. From Dr. Rogers: "I grew up in a family of nurses and physicians who I admire. Seeing how they helped other people inspired me to have a career in medicine." She adds, "I enjoy caring for children and their families and developing long-term, trusting professional relationships with them." 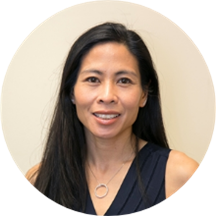 Dr. Rogers is sensitive to the uniqueness of each patient's situation and adapts her consultations and treatment options appropriately to accommodate individual needs and concerns. Dr. Beth did a great job! Exam was thorough and cared about my daughters personal life also. Dr. Beth Rogers is always caring and thorough in her care. She answers all my que without ever feeling rushed. Dr. Rogers has always been extremely warm & welcoming which has been nice for new & nervous parents. She is gentle & kind with our questions. We have been happy to follow her from the Bridgewater location to Warren. Dr. Elisabeth Rogers, DO has no appointments on Zocdoc right now.